Sutton Common has a newly created lowland wet grassland habitat. In late 2009, work started on creating the new lowland wet grassland habitat at the northern end of Sutton Common. This northern area of amenity grassland at Sutton Common is frequently too wet to be used for general sports and recreation, so a decision between Parks and Biodiversity was taken to use this seldom used area for nature conservation, specifically, the creation of a flower-rich lowland wet grassland. Lowland wet grasslands are rich in flowers and animals but are scarce within Britain, as they have been drained and turned into productive farmland. Consequently, the species associated with them have declined markedly. To help retain the natural dampness of the site, a shallow scrape was created in the northern part of the meadow. The scrape creation was enabled by a grant from the SITA Trust Enriching Nature Programme, whilst the new path was funded by the Local Area Committee. Although shallow, this damp area should stay damper for longer than the surrounding areas, enabling more damp tolerant species to thrive. However, this area was not designed to be a permanent water body or a pond. The slight increase in dampness during the summer though, will be enough for different species to live here, compared to the rest of the site. In particular, we wish to encourage plant species like betony (Stachys officinalis) great burnet (Sanguisorba officinalis), pepper saxifrage (Silaum silaus) and ragged robin (Lychnis flos-cuculi). These in turn will provide food and shelter for ground beetles, butterflies and moths, hoverflies and many other insect species. 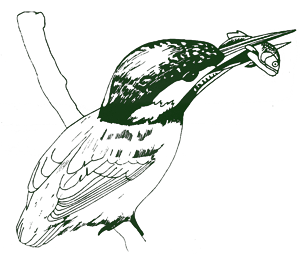 The increase in insect numbers and the change in habitat will also encourage bird and bat species. In late 2013, the site was brought under Higher Level Stewardship to enhance the variety of wildflowers on site. The first step has been to mow really short strips across the grassland and seed with Yellow Rattle (Rhinanthus minor) in these bare areas. Promoting Yellow Rattle is often used as a method for restoring hay meadow vegetation on semi-improved grassland, as it can help other meadow species to colonise the surrounding area. 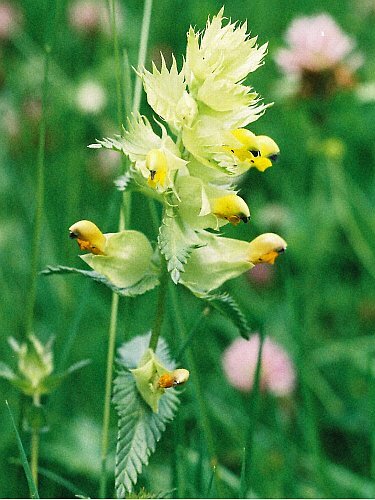 Yellow Rattle is a ‘hemiparasitic’ species (that is, it steals nutrients but also photosynthesises to create its own food) from grasses and members of the pea family (legumes). As it steals (some!) nutrients, it can suppress nearby grasses, allowing more sensitive species to have a chance to flower. As Sutton Common is very grass rich but rather flower poor, we need to give the flowers every chance we can! We will be monitoring the strips over the next few months to see how the Yellow Rattle is getting on and managing the meadow through repeated cutting to ensure we end up with a high quality flower-rich area people and wildlife can enjoy.